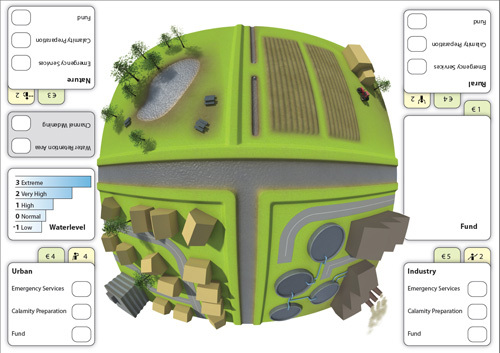 This is a board game designed during the game design course on the Delft university of technology (TU Delft). The game is available in both Dutch and English. 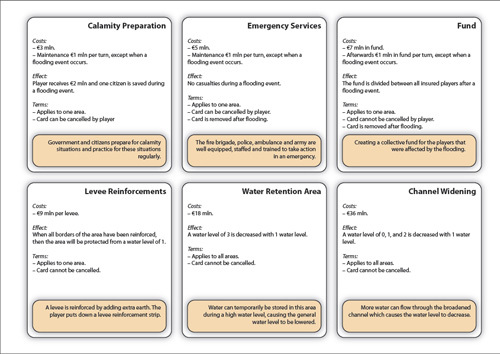 The learning objective of the game is to give students insight into the tensions that play a role in flood risk management by having them experience some of those tensions. The game is intended for high school students of around 15 to 16 years of age. It is meant to be played during one 45 minute class. It is played with multiple groups of 4 students each. Download the version of the game that suits your needs. Everything is included: game board, scenarios, and instructions in your language of choice! Complete credits are available in the instructions PDF.